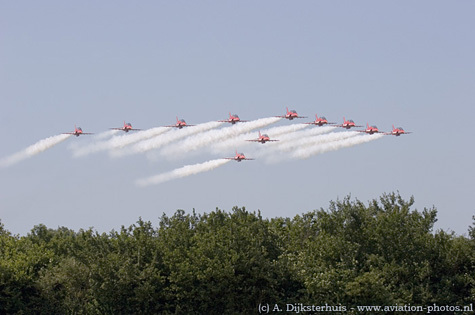 The largest military airshow in the world, the Royal International Air Tattoo 2006, was held at RAF Fairford during the second weekend of July (15th and 16th of July). The RIAT is supporting the work of the Royal Air Force Charitable Trust. This years themes: Rapid Global Effect - It's a speed thing and Army Aviation. Beside of that, it was the 70th anniversary of the Spifire and a goodbye for the Canberra. You can read more about this on the page dedicated to the airshow. Remark: The arrivals, the airshow (both days) and the departures are splitted into three seperate pages. All the photographs on this page are made on the Friday prior to the RIAT 2006. B-1B, 85-0061/DY, assigned to the 28th BS, 7th BW based at Dyess AFB, Texas, is seen here returning at RAF Fairford after a rehearsal. 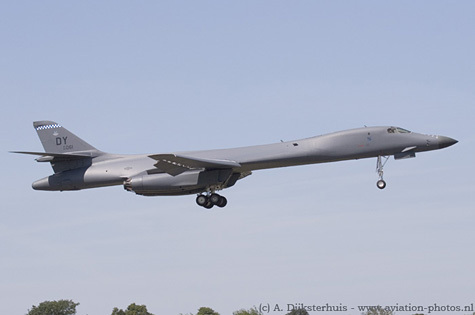 The B-1B flew on both days during the RIAT, unfortunately making only two passes each day. Although seen here on finals at RAF Fairford, this MC-130H only landed to pick up the parachutists that jumped out of this Special Forces Hercules a few minutes earlier. 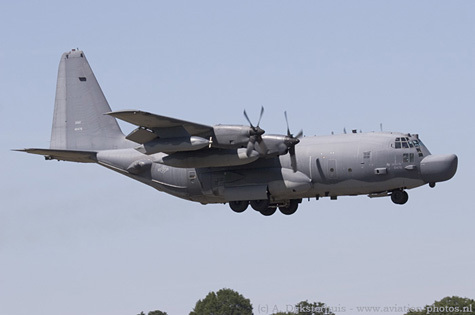 This MC-130H with serial 84-0476 is assigned to the 7th SOS/352nd SOG, based at RAF Mildenhall. Another American Hercules arrived at RAF Fairford on the Friday. This time a 'regular' example from the USAFE (United States Air Force in Europe). 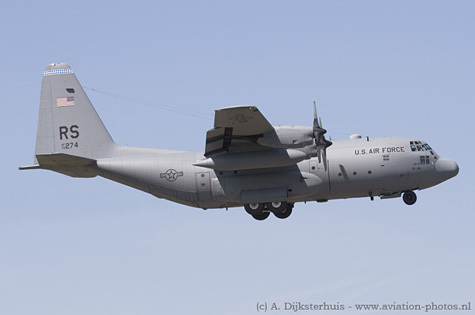 The C-130E Hercules with serial 70-01274/RS is assigned to the 86th OG, 86th AW, based at Ramstein AFB, Germany. 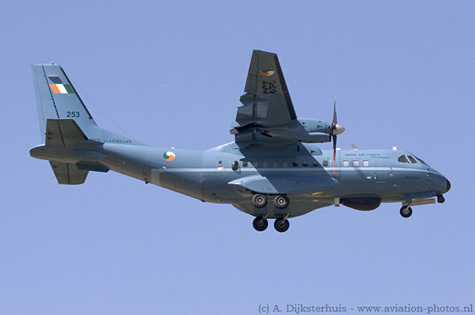 The Irish Air Corps participated with their CN235-100MP, serial 253. The CASA CN235-100MP is equipped with two General Electric CT7-9C engines and has an endurance of nine hours, which makes this aircraft very suitable for maritime patrol missions. A normal patrol mission has a duration of 7 hours. Will this be the future? 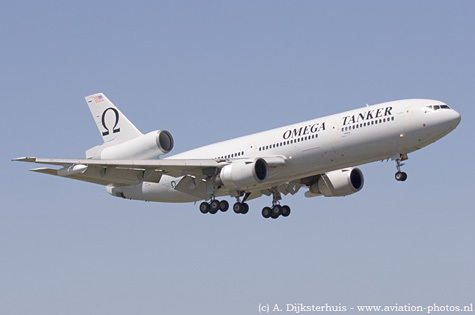 Civilian companies operating aircraft like this 'Omega Tanker' for refuelling military aircraft in the air? A DC-10-40 with serial N974VV from Omega Air Inc. from San Antonio, Texas, is seen here arriving at RAF Fairford on the Friday. The aircraft was parked on the static during the RIAT and departed on Sunday during the show. One of the many sponsors of this years edition of the RIAT was Gulfstream Aerospace Corperation. One of their arcraft, A Gulfstream G450, N990GA, made several VIP-flights each day during the weekend. The Gulfstream G450 is equipped with two Rolls-Royce Tay Mk 611-8C engines (this is an improved version for the G450 with a Full Authority Digital Engine Control (FADEC) and some other upgrades that results in better operating efficiency and reduced fuel burn). 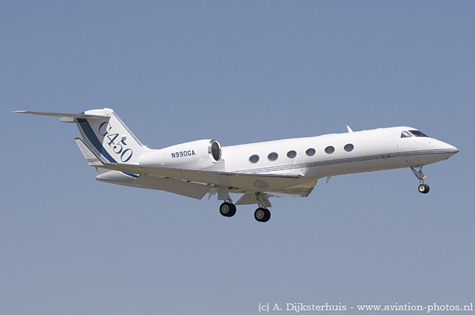 The G450 has a maximum range of 4,350 nautical miles and a cruise speed of 459 ktas (Mach 0,80). A pair of French Air Force Mirage 2000D's arrived at RAF Fairford. One of them (with serial 605/3-XD) is seen here on finals. 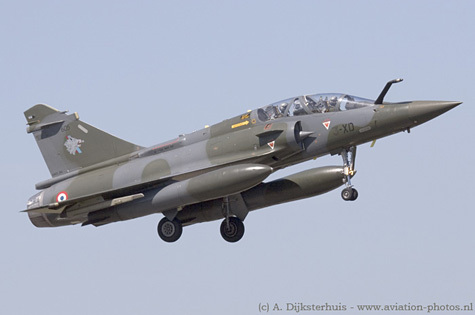 Both aircraft were parked on the static line while another pair of French Mirage 2000C's was already present at the flightline. A demonstration team that can't be missed at a Royal International Air Tattoo are the Red Arrows. The team was founded in 1965 and their first homebase was RAF Fairford. A formation of eleven Hawks is seen here arriving at RAF Fairford on the Friday. The Red Arrows flew on both days during the weekend.